Long Lake and Raquette Lake boast affordable accommodations, family activities and unsurpassed Adirondack beauty. Centrally located in the Adirondacks, Long Lake is a four season destination, an easy two-hour drive north of Albany and Utica, two hours south of Montreal and thirty-minutes from everywhere else. Seaplane rides, the best 4th of July celebration around, the oldest hotel in the Adirondacks, Great Camps, boat tours, dining cruises, hiking, birding, camping, fishing, boating, relaxing, dining, workshops, art, shopping, Adirondack Author’s Night, Quilt Camp, craft fairs, celebrations, history, concerts and diverse theatrical productions make Long Lake a destination worth visiting all year round. Paddlers and hiking enthusiasts embrace Long Lake as the gateway to wilderness paradise and the Long Lake north end offers boat accessible camping, lean-to and tent sites as well as NY State campgrounds on Lake Eaton and Forked Lake. Make Long Lake a prime stop to re-fuel, do laundry and rest on the Northville-Lake Placid trail, the Northern Forest Canoe Trail and the Raquette River Corridor. Long Lake is home to The Mt. Sabattis Recreational Area with tennis and basketball courts, a pavilion for public and private events, an ice skating rink and free skate rentals, a groomed sledding hill, and a summer youth center. The ball field at the center of town offers a gazebo, picnic tables, a nature trail and ample playing space. The Long Lake Town Beach is famous for an unsurpassed view of the Seward Mountains and for a swimming dock with rope swings, slide and mini-trampoline. Wintertime is the perfect escape. Snowmobile our miles of free groomed trails connecting Long Lake to Old Forge, Raquette Lake and Newcomb. Take advantage of backcountry cross-country skiing, downhill skiing at Big Tupper Ski Area, snowshoeing, ice fishing and ice skating. 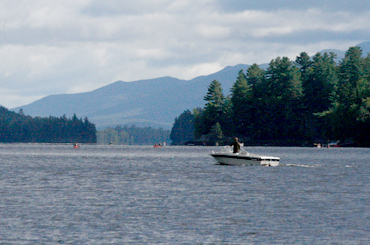 Don’t miss out on Raquette Lake boasting 99 miles of shoreline, making it the largest natural lake in the Adirondacks. Breathtaking scenery, outdoor recreation and a fascinating history make Raquette Lake a must-visit destination. Whether it’s boating, fishing, camping or hiking, Raquette Lake has it all. Boat and canoe rentals are available at two marinas. Three private launch sites-one in the village, one at Bird’s Marina and a third at Burke’s Marina- provide access to the lake. There are a number of public campsites in the Raquette Lake area, including Golden Beach and nearby Brown’s Tract Ponds. The State of NY has provided a number of sites with lean-tos for use by the public on a first come-first served basis. Raquette Lake is the birthplace of the Great Camps architecture. Adirondack Great Camps, Pine Knot, Uncas and Sagamore are three extraordinary places which have been designated as National Historic Landmarks. St. Williams on Long Point, a church built over 100 years ago and open to the public during July and Raquette has been designated a National Historic Place. Hotels, motels, and rental cabins provide the visitor with comfortable lodging year round. Seek a new adventure at a boat accessible rental property. 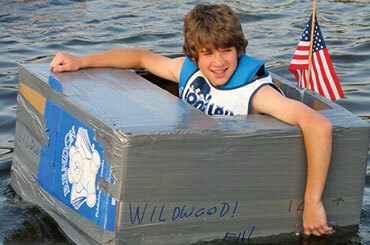 Contact a local realtor to plan your family wilderness adventure. Hungry? We offer fine and casual dining at our restaurants. Whether you seek a kid friendly burger to a gourmet meal overlooking the lake, Long Lake and Raquette Lake have it, whatever your taste, you’ll find it here. Long Lake and Raquette Lake’s central location makes exploring other areas a snap. Check out area attractions including The Adirondack Museum in Blue Mountain Lake, the Visitors Interpretive Center in Newcomb, The Wild Center in Tupper Lake, and Great Camp Sagamore in Raquette Lake. 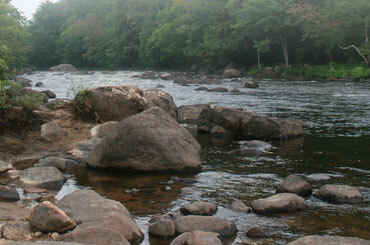 Don’t forget to visit Old Forge and the Olympic Region to round out your stay. Long Lake and Raquette Lake is 448 square miles of mountainous beauty, pristine waterways and quiet solitude.